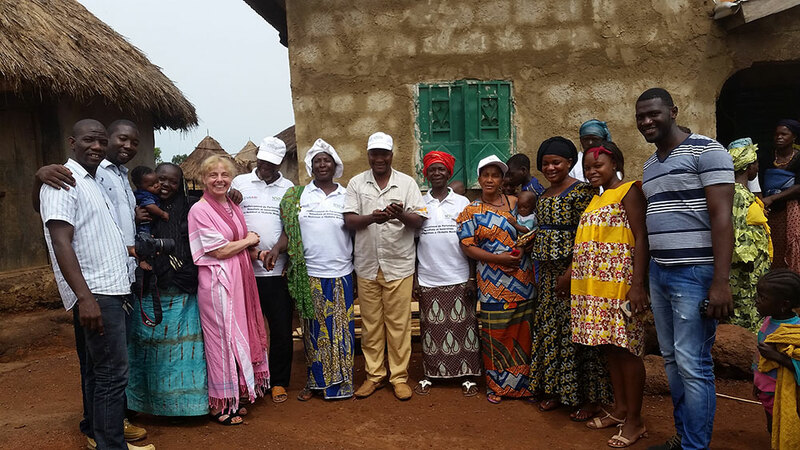 In May 2017, SPRING organized a trip for staff from the Feed the Future-funded Entrepreneurial Agriculture for Improved Nutrition (EAIN) activity and SPRING/Sierra Leone to visit the SPRING/Guinea project in Faranah, Guinea to learn about the community media approaches used to promote improved maternal, infant and young child nutrition (MIYCN) and nutrition-sensitive agriculture practices, especially in households with pregnant women and young children. 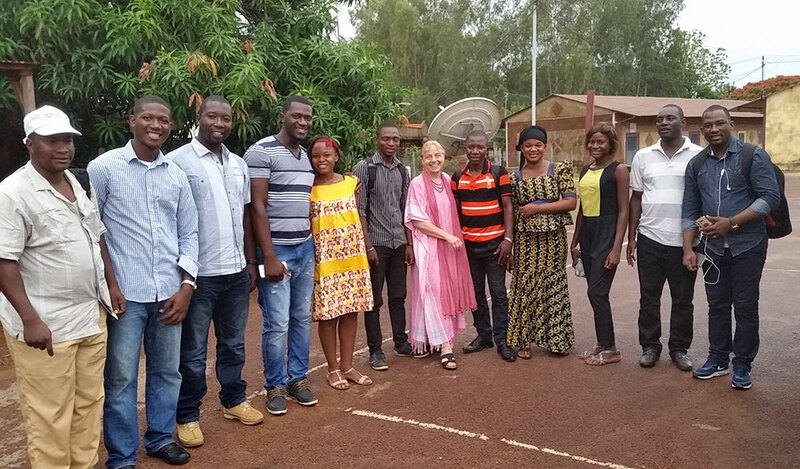 This three-day learning visit allowed staff from both countries to share social and behavior change communication (SBCC) program experiences from each country, and to participate in site visits to communities in Faranah to observe community video in action. The SPRING/Guinea team staff shared SPRING/Sierra Leone how SPRING/Guinea works with Digital Green on community video and Farm Radio International on interactive radio programming. 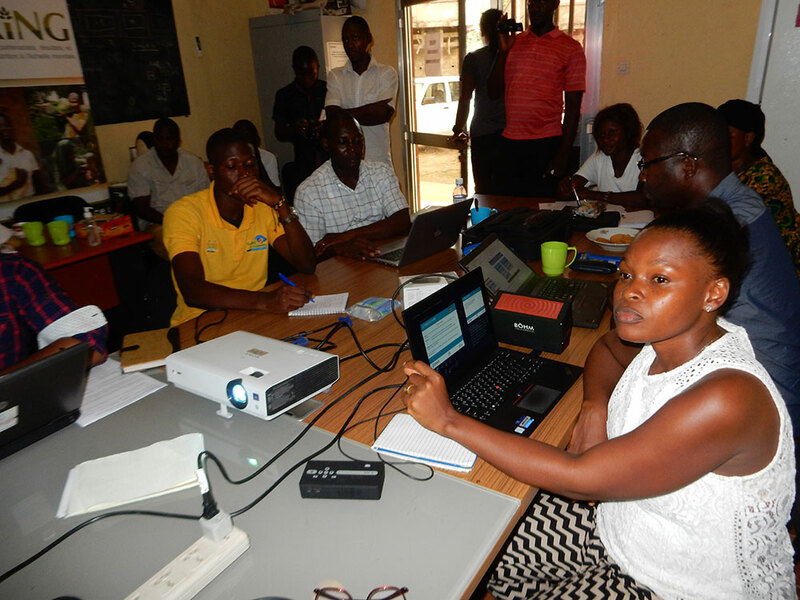 Mariama, EAIN Nutrition Field Coordinator, explains the Feed the Future-funded EAIN activity in Sierra Leone. The SPRING/Sierra Leone team gave a presentation to their Guinean hosts about their work, focusing on SBCC techniques. Members of the visiting team included SPRING/Sierra Leone staff and EAIN staff from Catholic Relief Services, Helen Keller International, ACDI/VOCA, and World Fish. 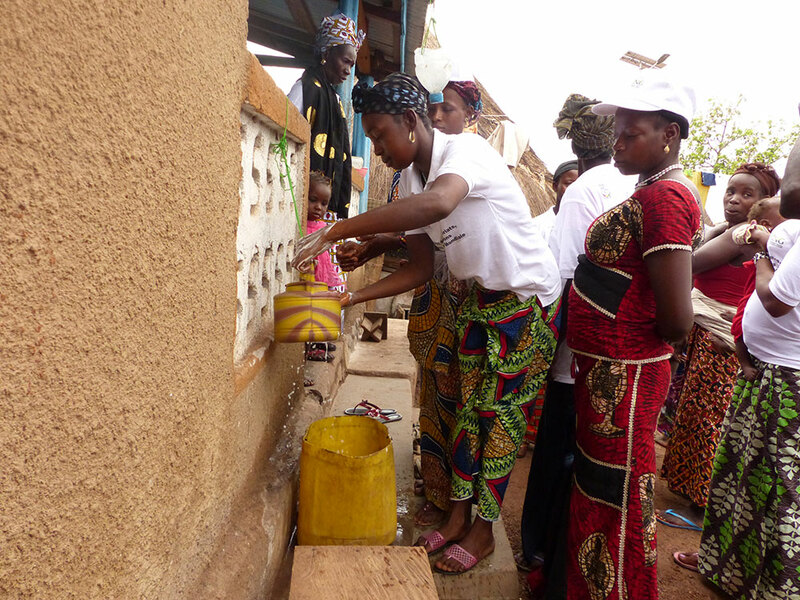 A SPRING/Guinea community volunteer from Beindou demonstrates handwashing before the group viewed a community video. 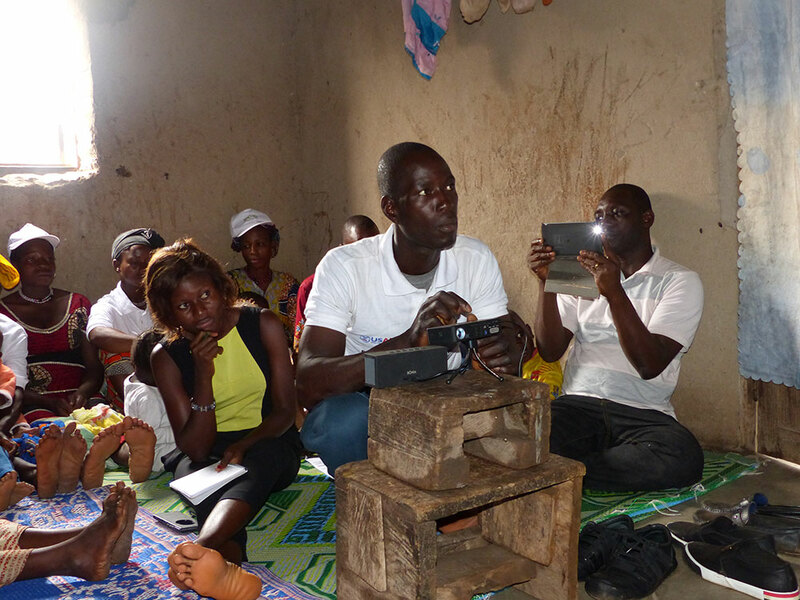 A SPRING/Guinea volunteer community worker sets-up a Pico projector to show the community video. 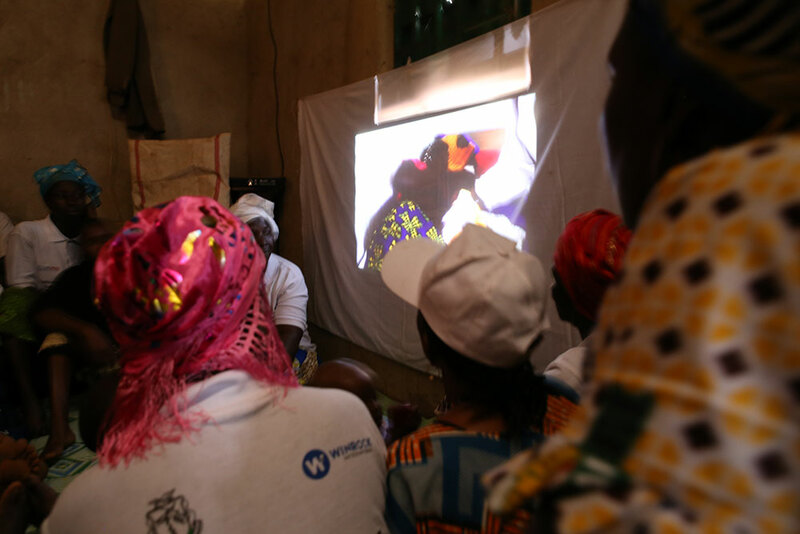 SPRING/Guinea has developed community videos featuring exclusive breastfeeding practices, child nutrition, dietary diversity, handwashing with soap, benefits of consuming legumes, and processing potato leaves for off-season consumption. Community members in Beindou watch a local community video. 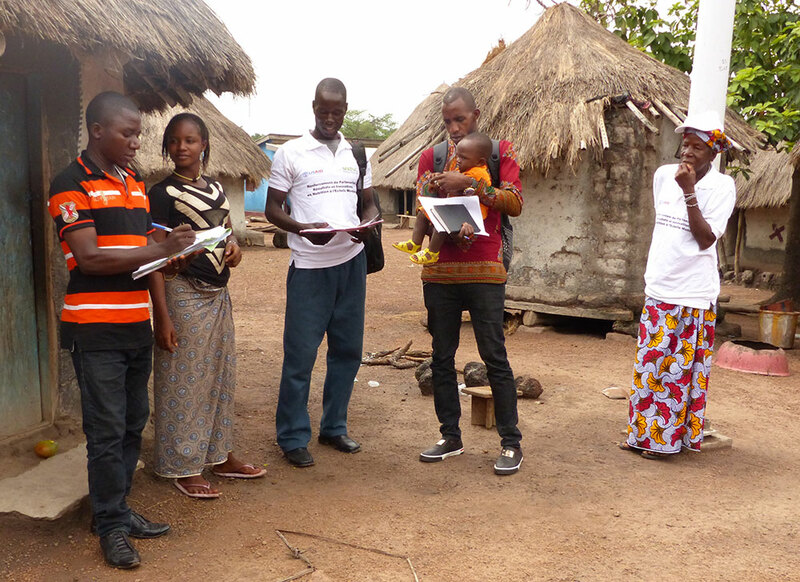 To learn more about the supportive supervision component of the community video approach, the EAIN and SPRING/Sierra Leone team split up into two groups to accompany SPRING/Guinea staff and volunteer community video workers on site visit. This group visited Niala. 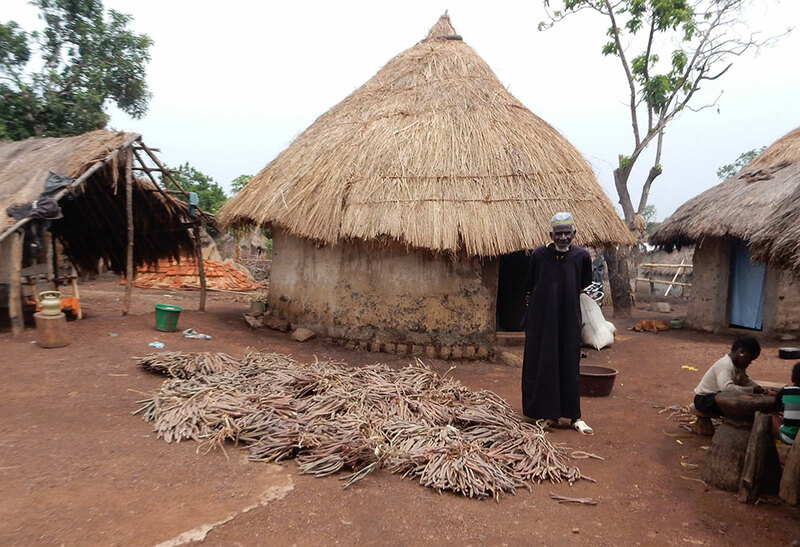 A SPRING/Guinea community volunteer in Bieindou demonstrates a home visit to the Sierra Leone visitors. Home visits reinforce messages promoted during the community video and assesses the family’s understanding of these key messages. A local community member stands by his harvest. The lead SPRING/Guinea community volunteer shares his enthusiasm for the community video approach with the SPRING/Sierra Leone team. 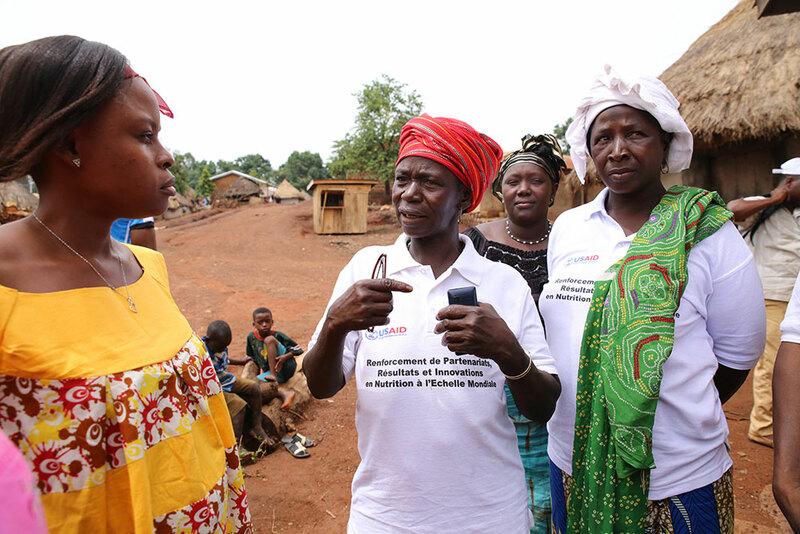 Another SPRING/Guinea community volunteer explains her role to Mariama, EAIN Nutrition Field Coordinator of CRS, SPRING/Sierra Leone. During a home visit, the team observed how a mother potty trains her child. 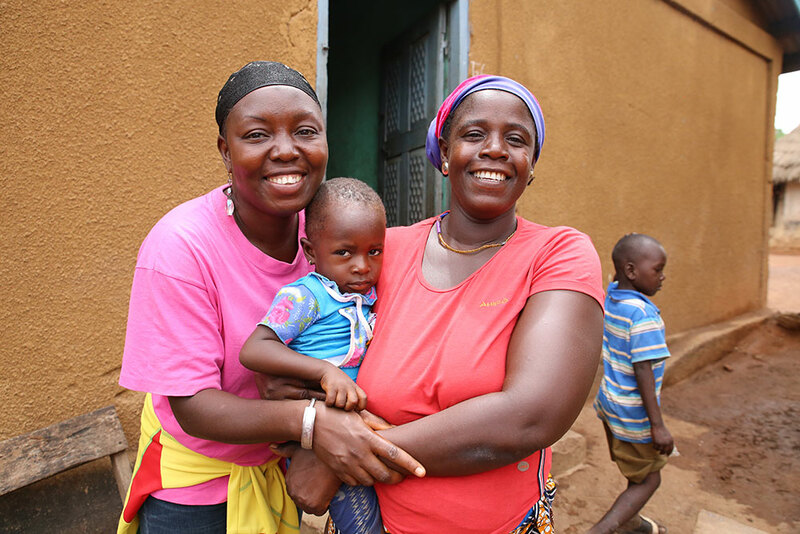 Sylla, a local community radio personality, poses with a mother and her child in Nialia. 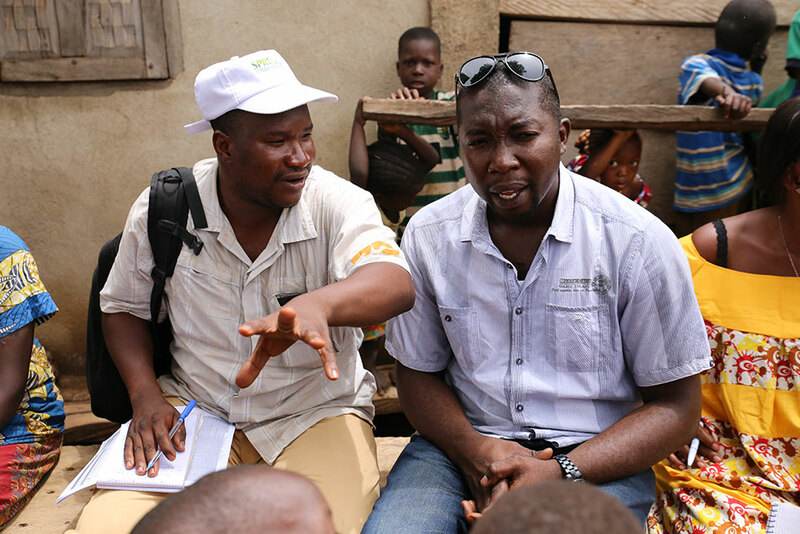 A SPRING/Guinea community extension agent who supports the COCO data collection explains his role to Hamid Turay, SPRING/Sierra Leone Nutrition Coordinator. 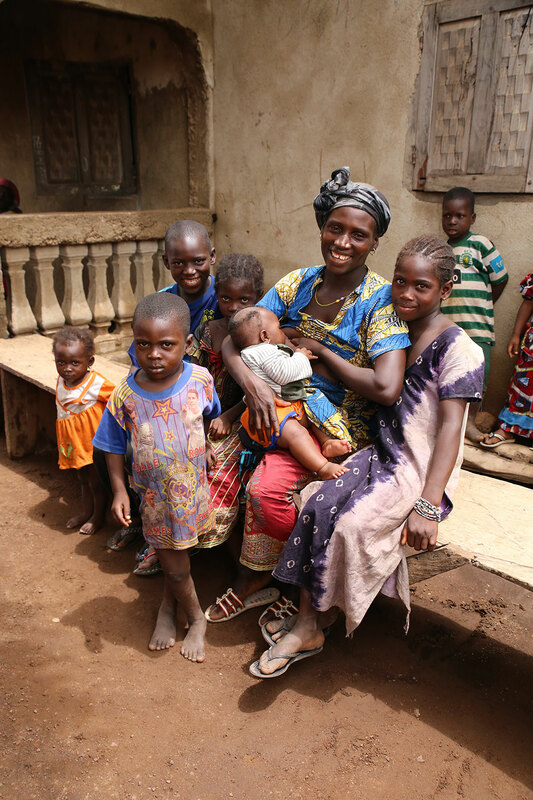 A mother in Nialia poses with her seven children while breastfeeding her youngest. 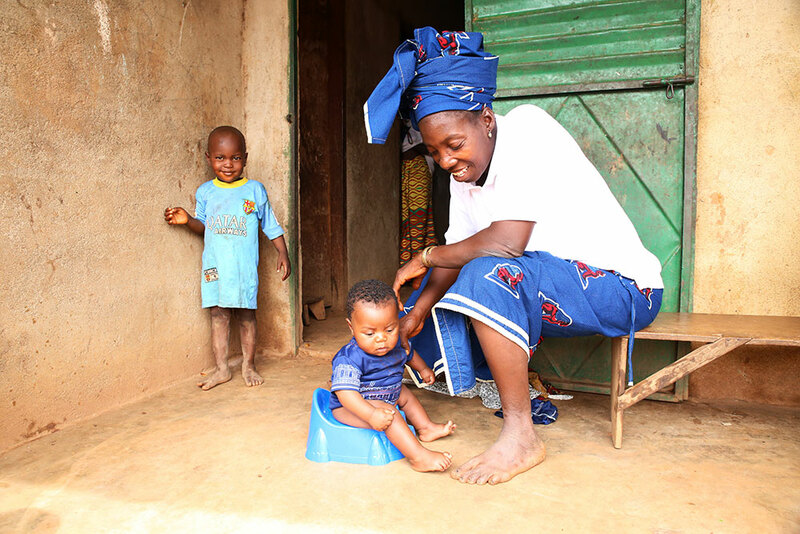 One of the practices that SPRING/Guinea promotes through its community videos is the importance of exclusive breastfeeding for the first six months. 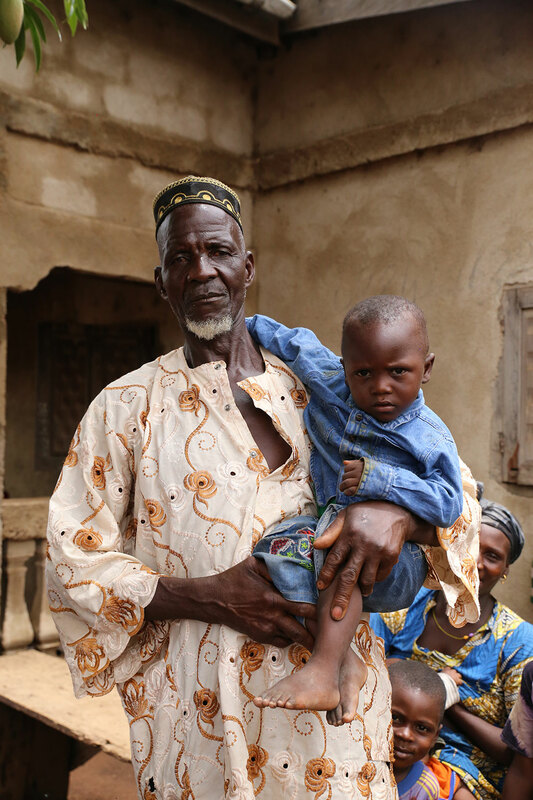 A grandfather poses with his grandchild. Grandfathers are key influencers of household behaviors. 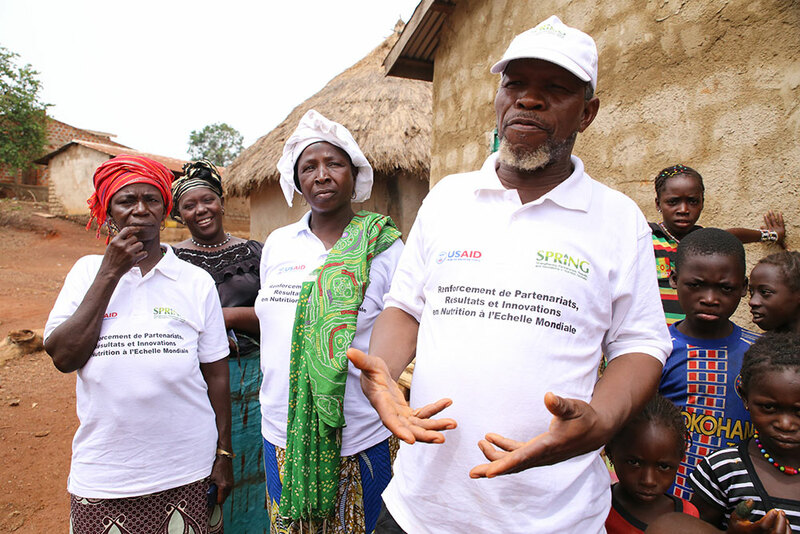 SPRING is committed to engaging grandfathers and other key influencers like mothers-in-law and community leaders in community video dissemination events. The SPRING/Guinea and Sierra Leone teams.